Guernsey Stamps announces that it is to auction for charity five souvenir folders commemorating the centenary of the Great War. 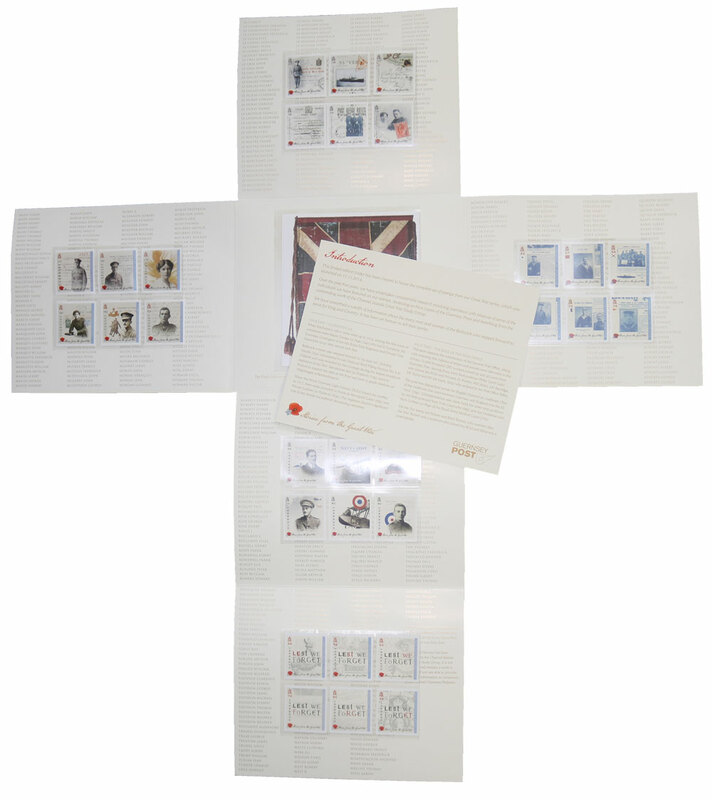 The limited edition souvenir folders (1,918 copies) contain the philatelic bureau’s complete set of stamps from its five-year series Stories from the Great War, which feature individuals from the Bailiwick of Guernsey who volunteered and were involved in the campaign. It also contains a miniature replica of the RGLI flag and opens out into the shape of a cross, which bears the names of the 1,500 individuals who made the ultimate sacrifice in WWI. Bridget Yabsley, head of philatelic at Guernsey Post explains: - “When we discovered that the States of Guernsey was going to auction seven special serial-numbered Guernsey 2018 £20 Commemorative banknotes, with the proceeds going to the Royal British Legion Poppy Appeal, we wanted to help. We have added another lot to the same public auction and will be auctioning off five very special souvenir folders numbered 1914-1918. “I’m delighted that we have the opportunity to raise more money for a charity, which is so closely linked to the subject matter of the stamps,” Bridget added. The limited edition souvenir folders, along with special serial-numbered £20 commemorative banknotes, will be available for public auction as part of Martel Maides' last auction of the year on 11th December 2018 Martel Maides Auctions. All proceeds from the sale of the folders and bank notes will be donated to the Royal British Legion Poppy Appeal.